A very accomplished painting by the noted animal and horse painter Nathaniel Hughes John Baird. It depicts a plough team and a farmer at rest at the top of a hill. 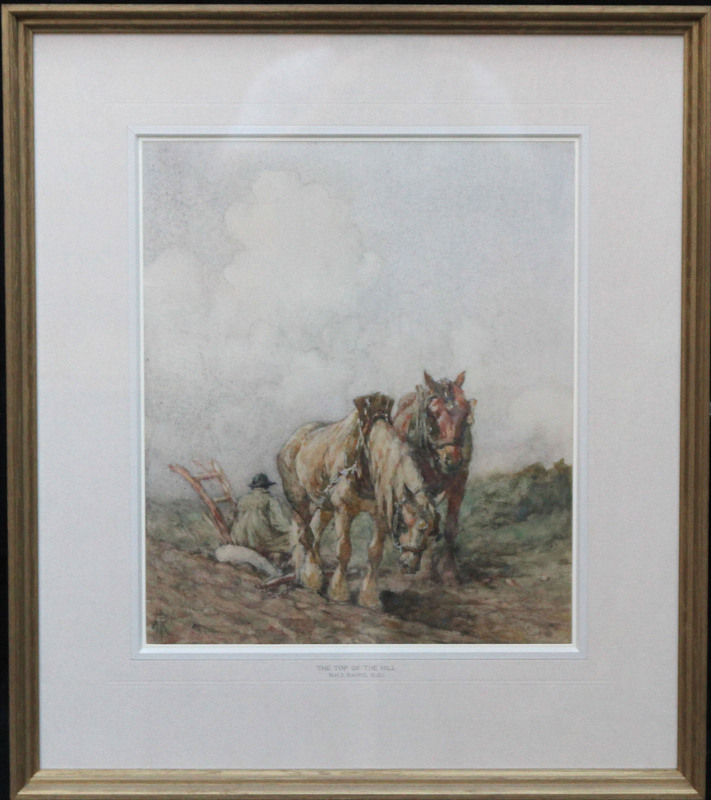 It is in excellent condition and finished in a fine frame and mount. Baird exhibited many works like this and was famous in his day for these scenes of working horses. It is signed left with his monogram and titled on the mount. It would have been an exhibited work circa 1920. Sussex estate. Gale and Co Framers. Stunninng frame and mount with title inscription 16 by 14 inches. Gallery condition. Nathaniel Hughes John Baird (1865-1935) was born in Yetholm in Roxburghshire. He was the son of John Baird, the minister who is famed for his work in reforming the gypsy population and particularly for the founding of the first 'Ragged Schools'. Baird first studied under his father and then at the Coldstream Academy, Edinburgh, then London and later Paris. He had his first Royal Academy work accepted in 1883 and exhibited at many of the principal galleries from that date including the R.O.I. of which he was elected a member. 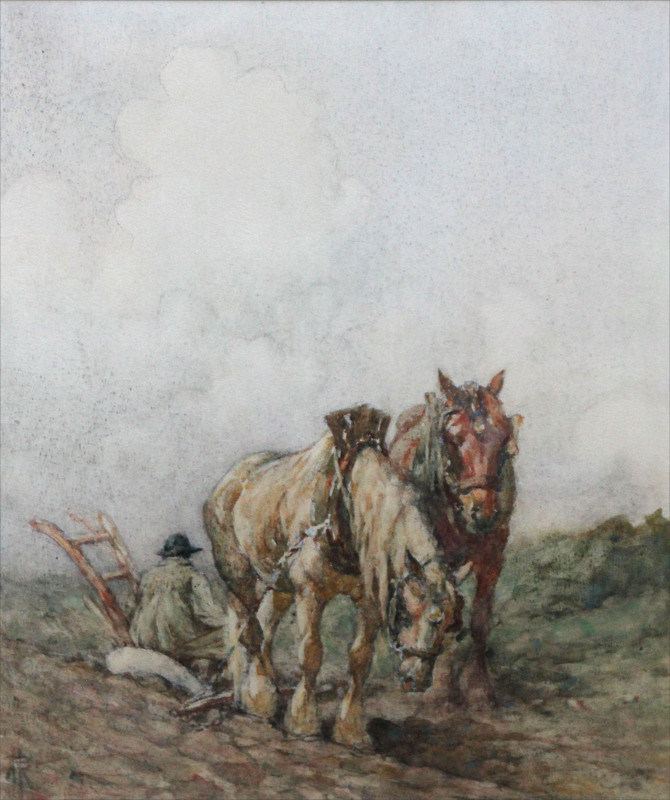 He was equally at home with both oil and watercolour and a favourite subject was the heavy horse at work. He continued to exhibit until the 1930's. He moved to Devon in 1880, living at Dawlish where he was given an interesting commission by the Miller family of Torquay to paint portraits of the family. One of the sitters was the youngest daughter Agatha who was to gain worldwide fame as the crime writer Agatha Christie. Following the death of his wife in 1919 he moved from Devon to Sussex where he died in 1935.